This groundbreaking project was to create “Training materials for teachers and trainee teachers in teaching pupils Complex needs”. The final product consists of 16 modules, 4 levels per module, 610 training resource packages, 3,989 slides, 500 video clips, 686 downloadable resources and 672 links to resources on the web. The resources are available on the Department for Education website http://complexneeds.org.uk/. All the 16 modules have four levels. Levels are groupings of content appropriate to a learner’s current level of knowledge and experience. 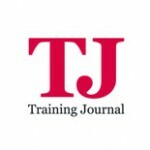 The are for use by both training providers and individuals who wish to carry out their own self-paced CPD. The results will be announced at a gala dinner on 28th November, but whatever the result, we’re incredibly proud to have made it through to the final six.